Starting on next Saturday, February 4th, passengers boarding with bicycles will be allowed to leave the platform using escalators. This change was generated through a mobilization of four entities, the production and dissemination of a video on the internet and the publication of an open letter to the President of the Metro. 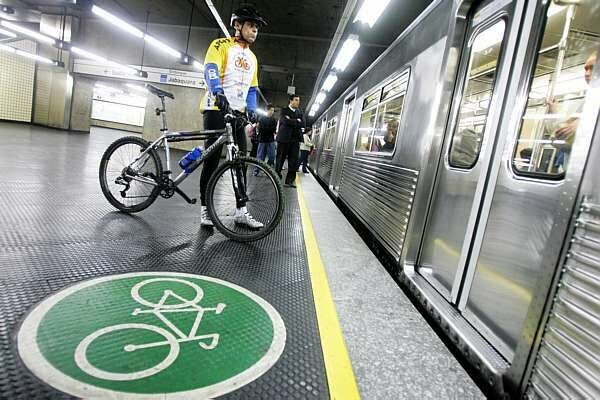 By the rules of the Metro and CPTM, published on 2007, the entry of bicycles was only allowed if the user could carry it through the common stairs to access the platforms. According to the Metro, during the week, the bicycles are only allowed after 8h30 pm, which brings average 53 passengers per day. On Saturday, it's allowed after 2 pm. On Sundays, the entrance is allowed during all day and the number of users reaches around 573. That is, 10 times higher. 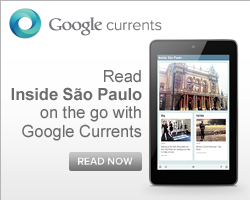 This change will be valid on the Metro Lines, including Line 4-Yellow and CPTM trains. Sao Paulo Carnival 2012: Samba School rehearsals - time schedule 2012. Check it out! Schedule subject to change without notice due to weather or logistical issues. Check the official website. The Metro 4-Yellow Line started having mobile coverage since January 19th. 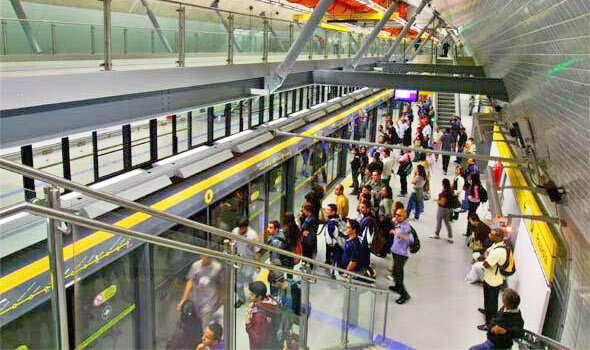 This is the most modern Metro Line of São Paulo. The service is still partial: only for the companies Oi, Tim and Vivo and only on the stretch of 7.2 kilometers between stations Faria Lima and Luz. The Claro and Nextel signal will be offered in the coming days. The 1.8 kilometers stretch between the stations Pinheiros and Butantã will only be covered in March. The other subway lines offer mobile coverage. Today is the 458th city anniversary. Check out what is happening right now! 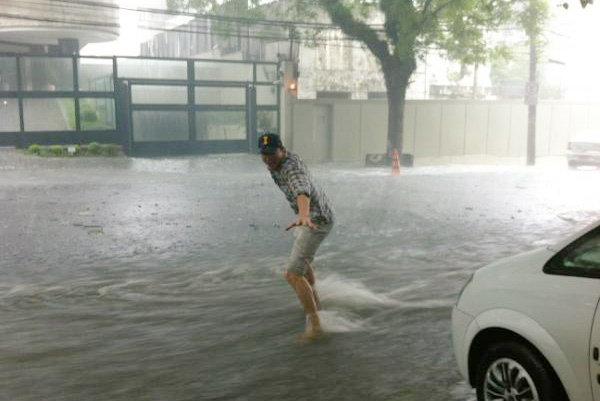 Sao Paulo is well known in portuguese, as "Terra da Garoa" (Land of Drizzle) but sometimes (mainly during the summer) it is also "Land of Thunderstorm". Some people enjoy this opportunity for surfing on the streets. 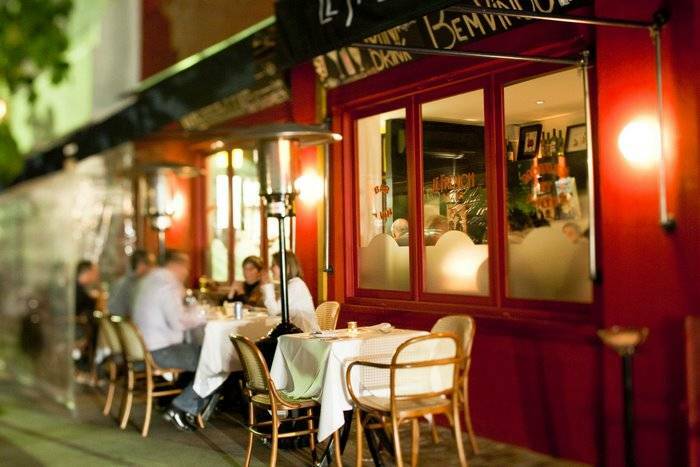 If you are in Sao Paulo, seeking a charming option to bring your partner to dinner, the advice is the restaurant and bistrô Le French Bazar. It is a place with sidewalk tables and a bar open on the street. The restaurant is very cozy. The decoration is composed of random details that are everywhere. The kitchen features classic dishes and attractive prices. The tip is the Entrecôte with chips, salad and mayonnaise dijon for R$ 36. Click here to see the MENU on your mobile device. It worth a visit! When: Monday, from 8 pm till 11h30 pm; Tuesday to Thursday, from midday till 3 pm and from 8 pm till midnight; Friday from midday till 3 pm and from 8 pm till 1 am; Saturday from 1 pm till 4 pm and from 8 pm till 1 am; Sunday from 1 pm till 5 pm. The city of Sao Paulo will host the next edition of the World Photo, global event will be available from January 21 at the Museum of Image and Sound Sao Paulo (MIS). The exhibition, which runs until February 12th, is free and features the winners of the workshop "Student City Project", also features the winners of the "Professional Competition" and "Open Competition" awards organized by "World Photography Organisation" . 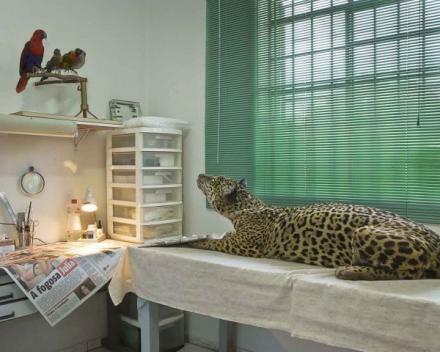 "Winners Exhibition" incorporates the "Sony World Photography Awards." The event is a partnership between Sony Brazil with the State Government of São Paulo, the Department of Culture and the Museu da Imagem e Som. When: January 21st to February 12th. Saturday and Sunday, from 11 am till 9 pm; Tuesday to Friday, from midday till 9 pm. Paulista Avenue completes 120 years and receive an exhibition of 20 panels. It worth a visit! On January 25, Sao Paulo celebrates 458 years. Also this year, Avenida Paulista, one of the greatest symbols of the city, complete 120 years. 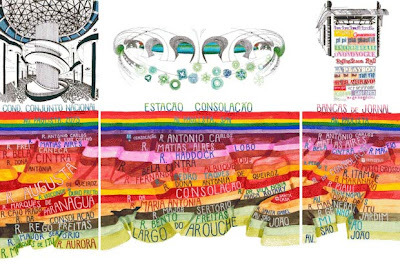 To celebrate these two events, the artist and architect Carla Caffé created a series of 20 posters that make up a panoramic view of the Avenida Paulista in Sao Paulo. The posters will be displayed in an exhibition held at the Cultural Center Funarte. 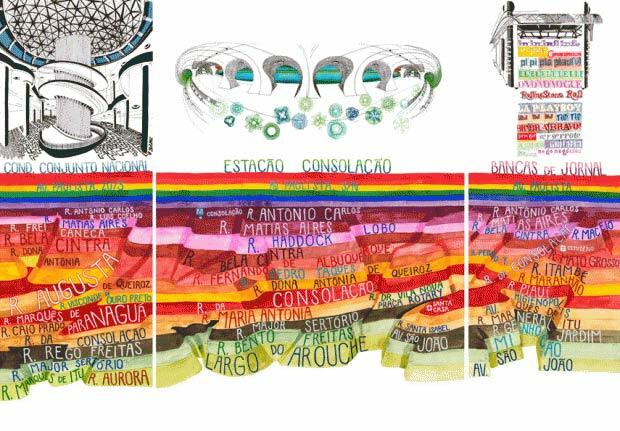 The exhibition "A(e)rea Paulista" has a panel 1.40 meters height and 11 meters long consisting of 20 posters, which show an overview of the avenue from the Vale do Anhangabaú until the Paraiso neighborhood, highlighting key monuments and Paulista buildings. Studying topographic maps of the city, the artist decided to paint watercolors that show the contour of the region and streets that connect the landscape. The route passes through the neighborhoods Paraiso, Liberdade, Bela Vista, Higienópolis, Consolação and downtown. When: January 21st to February 24th. Monday to Sunday, from 2 pm till 10 pm. One of the major Uruguayan artists wins retrospective exhibition with 150 works made ​​between 1913 and 1943. 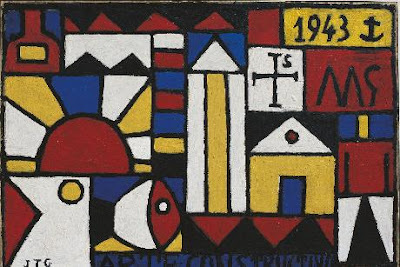 There are paintings, watercolors, drawings, frescoes, collages and wooden toys, called "juguetes transformables" which the artist created during 20's when he lived in New York. When: Tuesday to Sunday, from 10 am till 6 pm. Ends on February 26th. Price: R$ 6. For free on Saturday. According to the newspaper Estadão, the Mayor Gilberto Kassab (PSD) has just approved R$ 12 million for the realization of the Formula Indy 2012 in Sao Paulo. The additive to the contract with the Bandeirantes TV was published today in the Diário Oficial da Cidade. The government expects the event brings about R$ 100 million to the economy of the city, especially on the restaurants and the 41,000 jobs in the hotel network. If confirmed by the organization of the Indy, the race will happen for the third consecutive year in Sao Paulo. In the last two years, however, the rains damaged the race, since the Anhembi track - located beside the Marginal Tietê -, has several flooding points. During the race performed in 2011, which should have happened on Sunday was postponed to the following day due the rain. The race was held on a Monday and had a major impact on traffic. In 2010, the first outing in Brazil also caused disorder in traffic in the region of Anhembi. Kassab also approved today the three events that occur on the Avenida Paulista: the New Year's Eve Festival, the São Silvestre Race and the Gay Pride Parade. 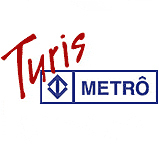 Turismetro is a cheap and a very interesting way of visiting the city. Check it out! If you're here in São Paulo and want to experience a different kind of tourism, the insidesaopaulo advice is the Turismetrô. It is a project created by the SP Turis in partnership with the Metro. 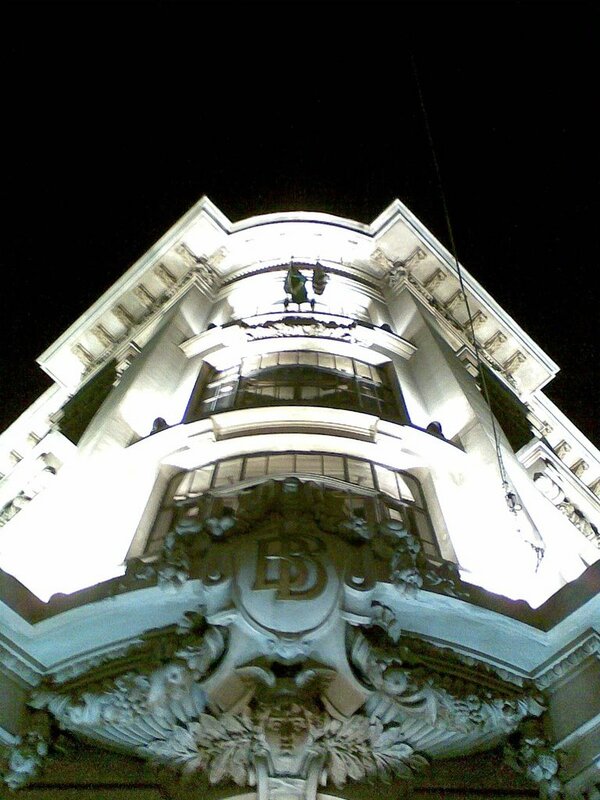 There are five different routes created to go through numerous touristic and historical sights of São Paulo. The tours offer trilingual guides (English, Spanish and Portuguese) that tell stories about the city and present artistic interventions performed by actors playing different characters who tell curious facts along the way. The tour does not happen on rainy days. Only 25 people can participate in every route. Each route takes about 3 hours . The itinerary can be changed at any moment. On weekends, get at least 20 minutes before the scheduled departure, to the counter of the Turismetrô at the Sé Station. Then choose one of the routes and get the necessary number of single tickets. +55 (11) 2958-3714 - Monday to Friday from 8 am till 5 pm. +55 (11) 7716-5141 - Monday to Friday from 9 am till 6 pm, Saturday and Sunday from 8 am till 5 pm. When: Every Saturday at 9am. (*) The group is allowed to visit inside. When: Every Sunday at 14h. When: Every Sunday at 9am. The exhibition Exilio e Modernidade - O Espaço e o Estrangeiro na Cidade de São Paulo (The space and the foreigner in the city of Sao Paulo) brings designs, photographs, maps, videos and articles that show the influence of foreign architects in São Paulo. Anat Falb is responsible for the event. When: Tuesday to Saturday, from midday till 7 pm. Sunday, from 11 am till 7 pm. Ends on February 2nd. When: February 17 and 18. Ticket sales are available from Monday to Saturday, 11am till 5 pm. 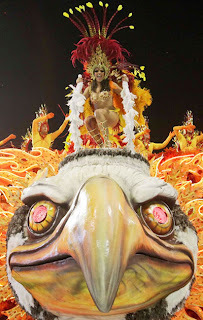 Sao Paulo Carnival 2012: the ticket sales start on January 15, but it's possible to buy VIP ones. Tickets of the São Paulo Carnival (February 17 and 18) will be available for sale in the second half of this month. For now, just boxes and VIP stands can be purchased. Tickets are sold from Monday to Saturday, 11am till 5 pm, on the point of sale. Addresses are available at www.ingressofacil.com.br, which also sells tickets over the Internet. There are 29 camarotes for 25 people each and 18 camarotes for 10 people availables. The ticket sales for both sector began last July 21. The start was anticipated at the request of the League of Samba Schools. The tickets sales for the whole sectors will start on January 15th. 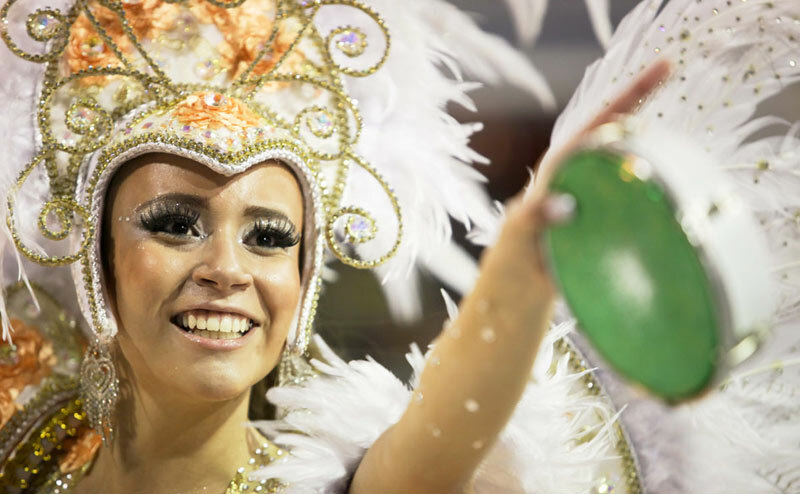 It's also possible to buy tickets for the Desfile das Campeãs (Winner Parade), when the Champion of the Sao Paulo Carnival will parade on February 24. It is available for R$ 75 on the "Arquibancada setor B". 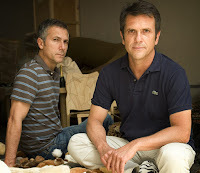 Considered icons of the International Design, the Campana brothers, which are Brazilians, have received a retrospective organized by the German Vitra Design Museum. The exhibition puts together pieces of furniture, lamps, objects, clothing and jewelry. Spread into themed environments, the exhibition portrays the life and work of the American musician Miles Davis. His music appears throughout the exhibition organized by the Cité de la Musique of Paris. When: Tuesday to Friday, from 1 pm till 10 pm. Saturday and Sunday, from 10 am till 7 pm. Ends on January 29th. 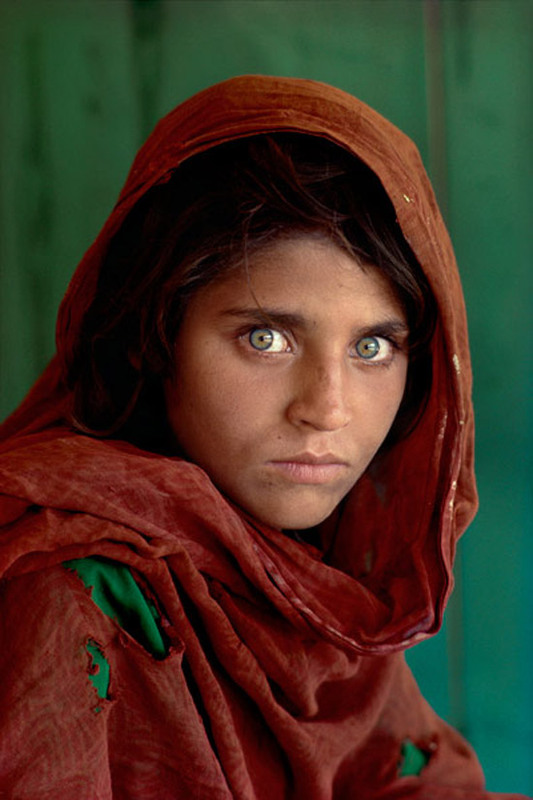 The exhibition brings about 100 photographs, including images ranging between geopolitical conflicts, the traditional Indian rituals and beautiful natural Afghanistan landscapes. Including also the last photographs taken by McCurry with the old school Kodachrome film. When: Tuesday to Sunday, from 11 am till 8 pm. The daily routine was one of the biggest inspirations of Sigmar Polke, one of the most important contemporary German artists. 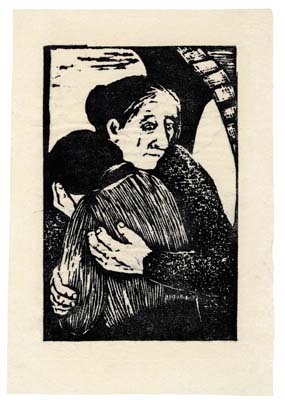 The exhibition brings together about 250 graphic works of him. When: Tuesday to Sunday, from 11 am till 6 pm. Thursday, from 11 am till 8 pm. Ends on January 29th. From January 25th to 29th, the surroundings of Vale do Anhagabaú — a neighbourhood known for its historical sites and prime architecture —, receives the URBE - Mostra de Arte Pública (URBE ‐ Public Art Exhibition) which will interfere in São Paulo’s downtown daily life, recycling the landscape, encouraging artistic thinking and putting this specific part of the city upon reflection. URBE is defined by the intervention upon what is already there, considered the city itself is a sublime mankind artwork. The site specific art interventions are developed by five young artists/collectives who will develop installations and projections that will ultimately change the public area, using open air spaces for new ideas. The therefore emerges with the proposal of investigating layers of time and their aesthetic, historical and social values as the same time as proposing a new path for the incipient segment of public art. the potential of this kind of project in the city. Artworks will be set up in areas such as the forefront of the Banco do Brasil, Cultural Centre, Vale do Anhangabaú, Viaduto do Chá, among others. Three young experts have selected the young artists taking place in the project: GOMA (Brasil), DOMA (Argentina), Felipe Sztutman (Brasil), ZoomB (Brasil) and Urbanscreen (Germany). The curators have different views and experiences in the visual arts field, but they all have a fresh look over the new proposals and the new art languages, endorsing the project innovating character. They are: Alessandra Mader, Felipe Brait and Julia Clemente. URBE — Mostra de Arte Pública — is an accomplishment of Centro Cultural Banco do Brasil, sponsored by Banco do Brasil and originally created by Cinnamon Comunicação.